The Dorper adapts well to a variety of climatic and grazing conditions. In its native South Africa it has spread from the arid areas to all parts of the republic. It reputably does well in various range and feeding conditions and is also suited to intensive feeding. In Australia, Dorpers are now farmed throughout the arid and tropical areas as well as the high rainfall southern States, thriving even in the extreme cold and wetness of Tasmania. Dorpers can be run as a replacement or with suitable management as a complementary flock to Merinos, particularly as shearing costs continue to rise. The breed is extremely adaptable with a high ability to flourish, grow, produce and reproduce in irregular and low rainfall environments. Dorpers are known to adapt well to feed lot conditions which offers farmers an alternative method to finish lambs in times of drought. The breed is regarded as having the ability to graze and browse which suggests it will consume plants seldom eaten by the Merino. 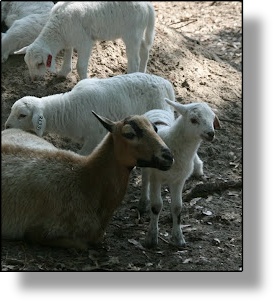 The Dorper is an easy care breed, which requires minimal input of labor. The Dorper has a thick skin, which is highly prized and protects the sheep under harsh climatic conditions. The Dorper skin is the most sought after sheepskin in the world and is marketed under the name of Cape Glovers. The skin comprises a high percentage of the income (20%) in South Africa. Unlike Merinos, Dorpers do not need shearing, crutching, mulesing and they do not get fly strike.